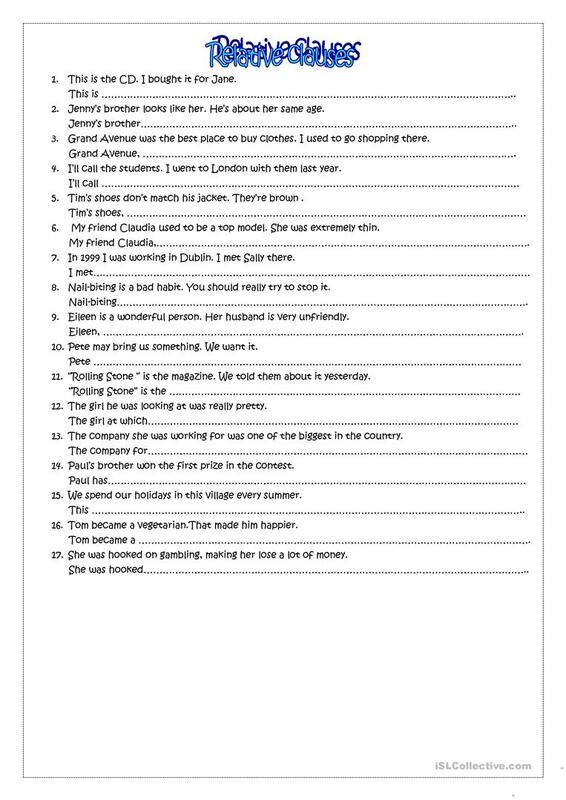 Join two sentences using the correct relative pronoun. The present printable, downloadable handout is recommended for high school students at Intermediate (B1) level. It is great for consolidating Relative clauses in English, and is useful for developing your students' Writing skills.